As promised, a birthday cake. Last week, I turned 27 and my blog turned 2. To celebrate, I baked a cake, of course! 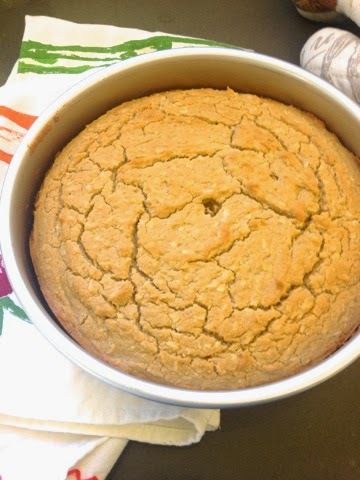 My favorite way to bake paleo cakes is with cashew butter. The creaminess of it creates the fluffiest texture for any cake recipe. There are not 3 milks in this cake. There is one. So the name is totally deceiving. Sorry. 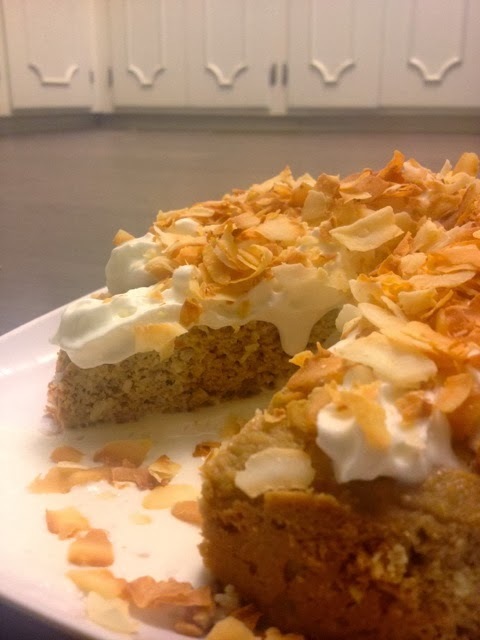 But its an incredibly delicious paleo cake. The cake will look dry when it comes out of the oven. Don't worry! After it is soaked overnight, this fluffy cake melts in your mouth. Serve Mexican delight for birthdays and hot summer days. Hello Cinco de Mayo (plan ahead!). Preheat oven to 350º. Grease a 9" round cake pan with coconut oil and line with parchment paper. In a small bowl, whisk together the coconut flour, baking soda, baking powder, cinnamon and salt. In an electric stand mixer, beat the butter and cashew butter until smooth, about 2 minutes. Add the eggs, 1 teaspoon stevia and 1 Tablespoon of vanilla. Beat until combined. Add the dry ingredients and beat until combined. Beat in 1/2 cup coconut milk. Beat on high for 2-3 minutes. Stir in the shredded coconut. Pour batter into your greased cake pan and bake for 25-30 minutes, or until an inserted toothpick comes out clean. Allow the cake to cool in the pan. While that cools, whisk together the remaining coconut milk, 1 teaspoon of vanilla extract and 1/2 teaspoon of stevia. Using a toothpick or skewer, poke a bunch of holes in the cake. Pour the coconut milk mixture over the cake. Cover the cake with plastic wrap and chill in the refrigerator for 4 hours or overnight, until the liquid is completely absorbed in the cake. 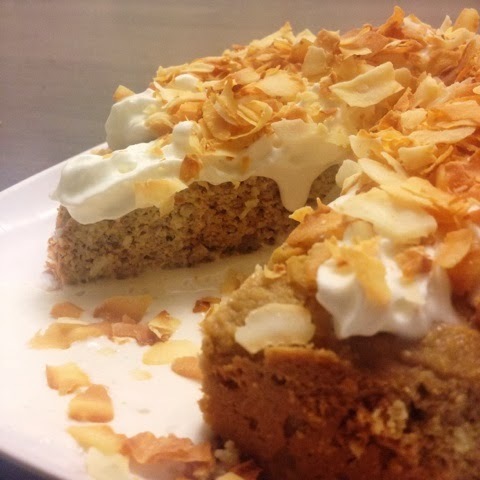 Remove cake from the pan, top with whipped coconut cream and toasted coconut flakes for serving. 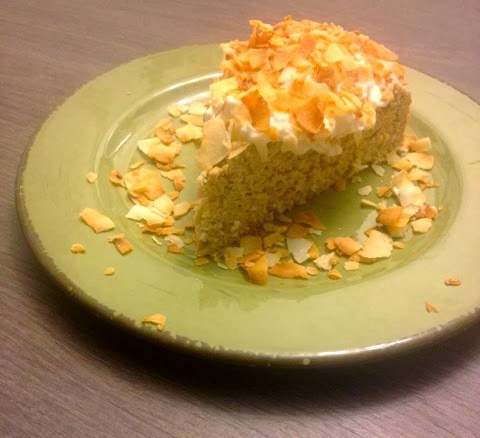 Spread 1 cup large, unsweetened coconut flakes on a baking sheet. Bake at 350º for 5-10 minutes. Watch closely and stir halfway through so they don't burn! As a food blogger, I get to do some really awesome stuff. 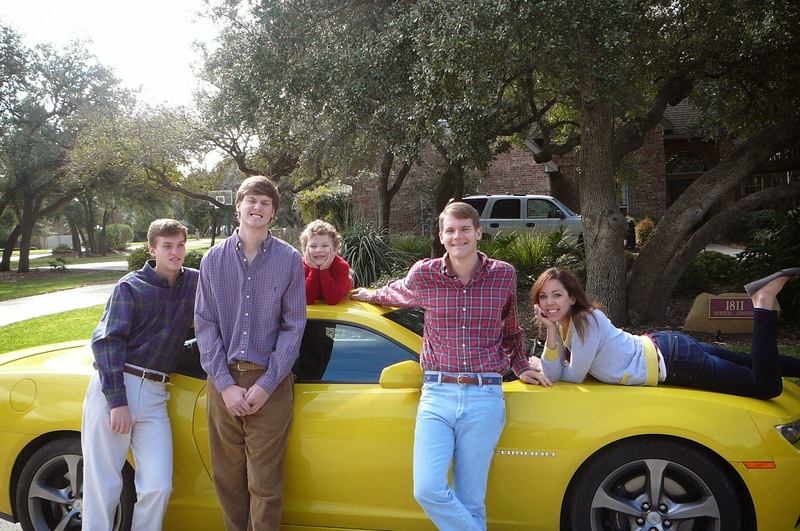 This year, I've gotten tons of free food and cookbooks, attended a bunch of food and wine events; I even got to drive a brand new 2014 SS Camaro for a week (see below)-- just because I blog. In fact, as I type this I am at the Whole Foods Headquarters in Austin, Texas at a food-blogging conference called Techmunch for South by Southwest Interactive. 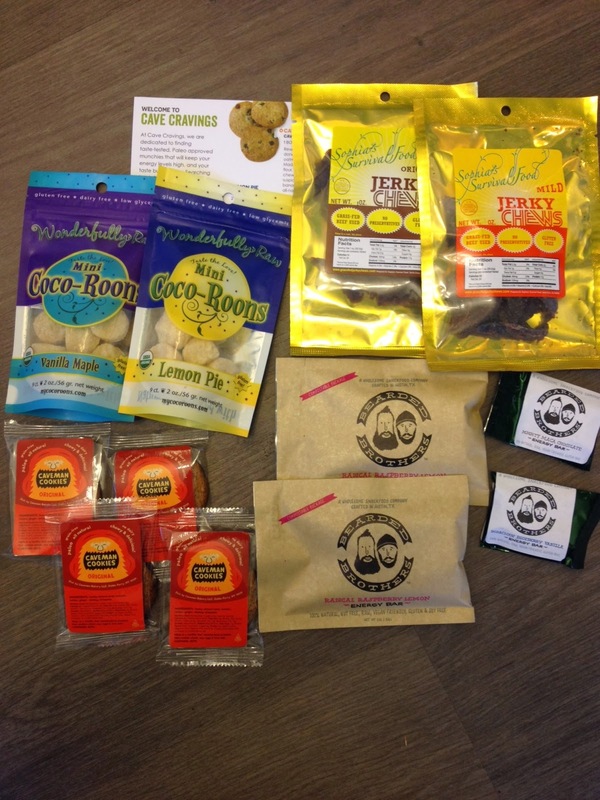 Companies like to use my paleo palate as their guinea pig and I get to sample some great products. Cave Cravings and Kelapo are two of those companies. Since its my birthday, I'm going to pass along some of this swag to you! Leave me a comment wishing me a happy birthday with your email below and I'll pick a lucky winner on Monday, March 17. 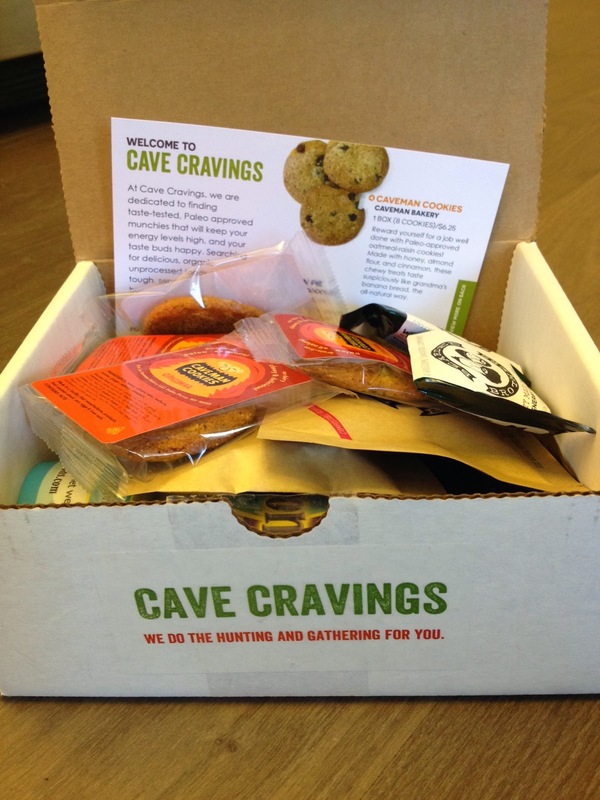 Cave Cravings healthy snack boxes find the tastiest paleo snacks and put them together in a monthly delivery for you and your family. I have really been enjoying the goodies in the box they sent me. I love these mini coco-rooms and caveman cookies as a treat after dinner. My husband and son love having the paleo energy bars on the go. Kelapo is a company that offers more than just high-quality coconut oil. One of my favorite things they do is offer small, portable packs of coconut oil! I love that because you can take them with you when you travel. They also offer coconut oil spray! This was our family's Christmas picture this year! While I wish I could do a Camaro giveaway, my blog just ain't that big. I can tell you though, that you should take one of these for a test drive. The week of Thanksgiving, GM lent me this gorgeous SS Camaro, no strings attached. They handed me the keys and said "Have fun." Oh boy did we. Full disclosure: I seriously caught the need for speed. This hot little car was a ray of sunshine in my life. I really felt alive driving it through the Hill Country. One of the most surprising things was how utterly comfortable this car was. This particular model had racing seats, which cradled me like a baby. I think I spent more time in this car than out for the week I had it. I won't claim to know a lot about sports cars, but it didn't matter driving this car. It was comfortable, fast, gorgeous and I loved it a little too much. I will be buying one someday, hopefully in the not too distant future. Thanks to much to GM for the week with the SS Camaro. I can't wait to have one of my own! Happy Birthday! Hope it's great!!! Happy Birthday!! The cakd looks delicious! Happy birthday. Can't wait to try the cake.